Building upon many years of professional experience the owner of Studio KimMae is now able to guide you through the techniques of airbrushing yourself. You can take part in courses offered both on evenings (on week days: 10 evenings, weekly from 19.00-21.30 hrs) and on Saturdays (4 Saturdays from 11.00-16.30 hrs). Participants will receive high standard personal coaching and enjoy the comfort of a large, spacious studio.Course materials will be provided for, but there is also the possibility to buy your own equipment at a reduced price. CLICK HERE OR IN THE MENU FOR PICTURES OF MY COURSES. Those interested can take a trial lesson with no string attached. Interested? Don’t hesitate and get in touch! Maybe you can join us this week! 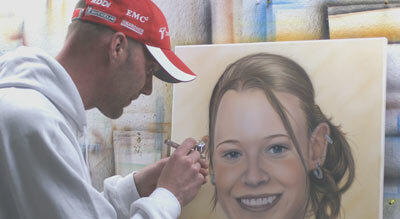 Airbrushing doesn’t require any drawing talents. 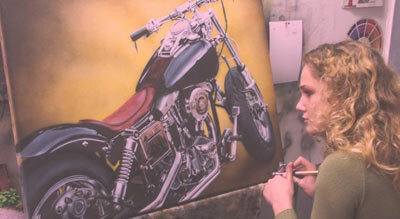 This course will teach you the basics of airbrushing; free-hand by means of drawings (which will get more demanding as the course develops).The instructor will explain the use of the basic colors. In the advanced courses the subject will be discussed further/further discussed. To get a better understanding of your working tool, the disassembling, cleaning and reassembling will be discussed. 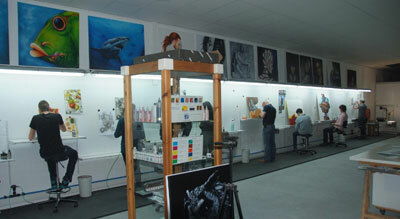 This course offers you the chance to find out whether airbrushing is something you want to develop before investing in necessary equipment and materials. (In the end only those who never try will fail). These courses are more extensive. 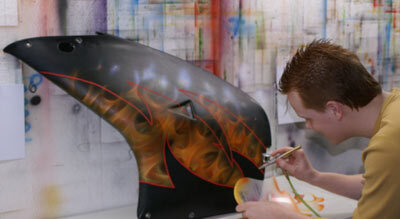 You are familiar with the basic techniques and your airbrush pistol no longer holds any secrets. A door will be opened to you to discover new possibilities and techniques. 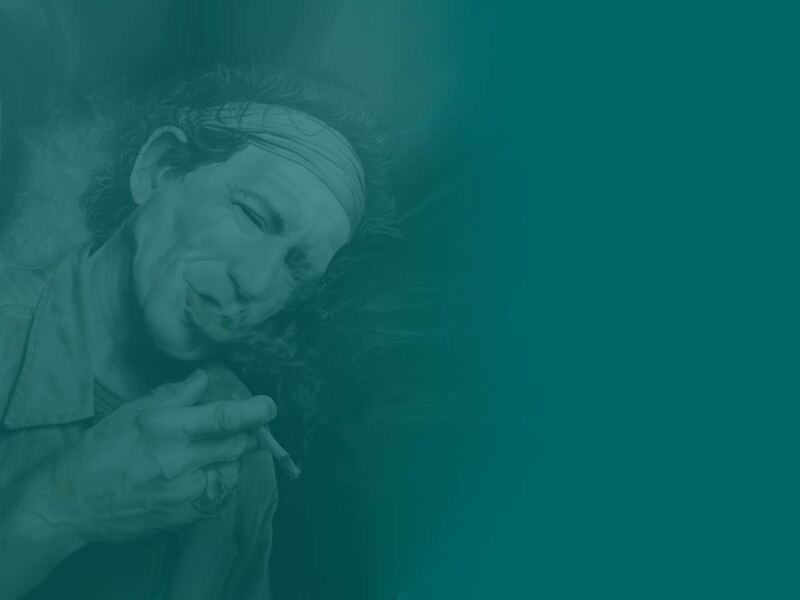 A variety of subjects will be discussed, such as making your own colours, portraits, applying mixed-techniques, and learning about abstract painting and photorealism.